Sune, a 12 year old struggles with girl troubles and school while he and his goofy family prepares for Christmas with failed attempts of all the usual December traditions. The Olsson family move into a castle that turns out to be haunted. The kids, with their dim parents oblivious to all the strange things that are happening, are caught in the middle of a big mystery in the centuries old castle. Pelle Svanslös is a kind and sweet cat who constantly gets tricked and bullied by Måns. Based on Astrid Lindgren's books. Madicken's life on Junibacken is filled with ups and down. In an old wooden house in Haga, the working-class district in Gothenburg, the dealer Albert Karlsson lives with his adult son Herbert. It's about 2 teenagers that have been together for 4 years and start to get bored of eachother and break up but are still in love with eachother. The story take place on a ship where two children, Ofelia and Philémon, are shrunk and captured by a bunch of rats living in the engine room. Two siblings, Ebba and Didrik, lives in small society by the sea. A quick look and you can see a normal family, but the truth is that the family have deep struggles. Ebba and Didrik then tries to seek love from other persons than their parents, but that is easier said than done. As 'Swede' as can be- One of the finest, funniest and most touching TV-series about childhood ever! This Swedish TV-series gem is a writing, directing and acting triumph all the way. 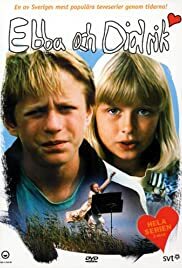 It's the warm, compassionate and laugh-out-loud funny tale of a young brother and sister growing up in a small town in the south of contemporary Sweden. The main focus is on Ebba and Didrik's tentative ventures into love- their (puppy) love stories and crushes are hilarious, heartbreaking and... so endearing - but it also revolves on the Reng family and their tragicomic domestic clashes and relationships. Arnell and Widerberg are simply human wonders in the title roles- rarely have such effortless performances by young actors swept me away as seen here. The breathtaking coastal location, beautifully photographed, adds a lot to the fresh, beguiling spirit of the whole series, which also presents wonderful side characters. Simply as 'swede' as can be! !